To save Tristan's life, Savannah did the impossible and changed him into a vampire. 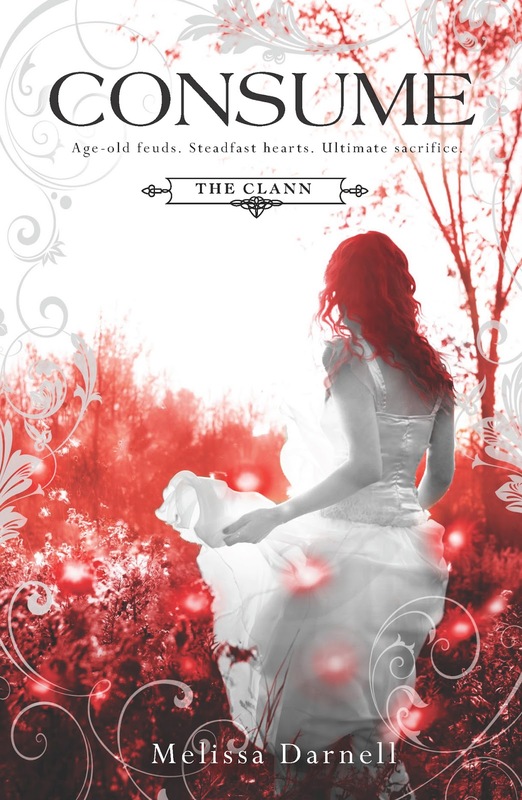 Now, she's not the only one with both Clann magic and vampiric powers. But changing him came at a price as his family has disavowed him and now the ever brewing war between the Clann and the Vampire looms closer. Tristan and Savannah can only watch in horror as things reach the tipping point into full out war. The devastation is horrible, but they know they are the only ones who stand a chance at forming a peace between the two factions due to their unique ability to channel both sides' powers. To save everyone they love, Savannah and Tristan will have to risk everything, and even then it may not be enough. As much as I am a fan of the incredible world Melissa Darnell has built, I have to say that it is the characters that have really shined for me throughout this series. There wasn't a single moment where I felt she didn't stay true to their personalities or the growth they went through. I think that is what made the forbidden romance so powerful for me in this series, and especially in CONSUME. It was almost like watching a train wreck as each new obstacle was thrown at them, none of which were trivial. So when they stayed true to character and didn't just roll over and accept something outside of their nature, I was really pleased, even if the turmoil almost broke my heart. I just hate it when a character swallows something they are completely against in the name of love too easily, so I was glad to not see that happen here. Things surely didn't come easy for them, but the work they needed to do to make things right made them so much stronger for it, and made me really believe in their lasting power. I have to admit that I'm very hard to please on series ending books. In fact, I go into each one with trepidation, almost waiting for it to disappoint me as so many do. I may be a cynic in this circumstance, but I really hate when I've loved all the build up to get the finale, and then the end just fizzles. But then sometimes there are those awesome books that end just like this one and I'm left feeling completely satisfied with the way things turned out. CONSUME was a serious breath of fresh air when it comes to a series ending. Not only were the action and emotion intense, but it also wrapped things up with a complete ending. There were no loose ends here left to wonder about here, just a well rounded story for a well rounded series. I've been sitting on writing this review for almost two weeks now as writing reviews for a book several books into the series, let alone the finale can be so difficult, especially when trying to avoid spoilers. I just find it so terribly hard to give a book I've enjoyed justice while staying so terribly vague. So on that note, I hope I've conveyed just how great this series has been for me, even more so now that I've heard that there will be an adult series based in this world. I could not be more excited to get my hands on that new series and am very glad I do not have to say goodbye entirely to this amazing world that Melissa Darnell has created. But getting back to the book at hand, I feel fans of the series will be very pleased with the way things have turned out. 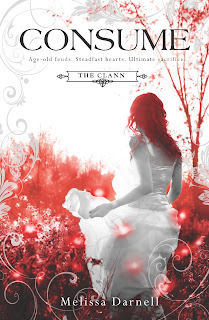 An excellent conclusion to The Clann series, CONSUME is simply not to be missed!